What Are Prepaid Items On My Loan Estimate? Are you in the process of preparing to buy a home? Or thinking about refinancing your current mortgage agreement? 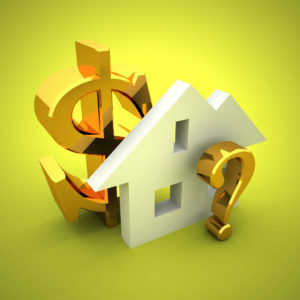 If so, there are many factors that should be considered before committing to a new homeowner loan. In this article, we are going to discuss the prepaid items on your loan estimate and how they differ from closing costs. With help from an experienced mortgage professional, be it a mortgage banker in Chicago or elsewhere, you will have everything you need to know about the prepaid items in your mortgage agreement and how they will impact the overall repayment terms. The first thing that any loan applicant needs to understand is the Loan Estimate itself. The Loan Estimate is a three-page form that provides valuable information related to the estimated costs associated with your loan. A loan estimate covers the interest rate, monthly payment, total closing costs for the loan, costs of taxes, and insurance. In addition to these estimates, the document includes details on how the figures could change in the future – due largely to wider economic changes. The loan estimate does not confirm acceptance of the mortgage but instead provides you with an estimated idea of the expected costs should you choose to move forward in the process of buying the home. What Are Prepaid Items On Your Mortgage? Prepaid items, otherwise known as prepaids, are a collection of charges that the lender requires you to pay a partial payment on your mortgage agreement. Though the costs aren’t directly linked to the process of borrowing they are associated with the concept of home ownership. Prepaid items are due ahead of getting your loan and are used to fund what is known as an ‘escrow’ account. Essentially, the lender takes the payment from you in advance and then pays the associated fees on your behalf. These costs include insurance premiums and taxes. They are added to the monthly repayments, making it easier for you to manage every aspect of the mortgage in one fell swoop. These fees additionally provide financial security to reduce the risks for lender and borrower alike. From a different perspective, prepaid items in mortgage agreements are often seen as a crucial part of the overall process. And, they are just as beneficial for you as it they are for the lender. Given that they will impact the overall monthly repayment premiums, it’s important that they are factored into your budgeting and financial forecasts. Are Prepaid Items The Same As Closing Costs? Many prospective new homeowners wrongly assume that prepaid items are the same as closing costs. Although the two are similar, they are not the same thing. Closing costs are the costs associated with arranging and agreeing on a loan. These are generally one-time fees that are due for services required during the process of actually buying a home and getting a mortgage. These fees include payments to title companies, attorney fees, governmental title recording fees, and lender loan setup fees. Each item should be listed clearly on your document and can be quite costly. Then again, it is to be expected that when you make a purchase as big as buying a property, it will include fees of this nature as well. Teaming up with a reputable mortgage representative will help you gain the best outcome in all areas of the agreement while also providing the level of transparency you deserve. It is worth noting that property inspections do not usually fall under the category of closing costs. This may seem a little strange given the process involved, but they are usually completed before confirming the agreement while you can use the findings as a bartering tool too. The exception is when the inspection fee isn’t paid in a prompt manner. In this case, it may be incorporated into the closing costs. When you are presented with your Loan Estimate, you will notice that several items are included on the list of prepaid items. Understanding them on an individual basis will allow you to gain far greater insight into them as a whole, which should help you through the challenge of analyzing different mortgage offers. Especially as many of the fees will fluctuate from one lender to the next. Every homeowner is obligated to take out homeowner’s insurance. The monthly premium offers financial protection against damages caused by natural disasters, for example, and covers the cost of repairs. You may be required to pay the first few months in advance via the escrow account before modifying this payment to be on a rolling basis through the use of the monthly payments. While factoring in this extra cost can be frustrating, it’s better to be safe than sorry. Property taxes are an ongoing charge associated with owning property and are the most difficult to comprehend. The tax proration of your property will be stated in the purchase contract but could be changed by the attorney review so it is an issue you need to look out for on all letters sent by attorneys. The tax value of the property is based on the previous year’s tax bill, which is why this charge can change from one year to the next due to a host of different factors. The date of closing, the value of your home and the amount of the loan will impact the charges applied. As for the prepaid cost, you will be required to pay an amount equal to the first few months worth of taxes into the escrow account before the lender takes care of the repayments themselves. On a related note, you will be due to pay your first month’s private mortgage insurance (PMI) premium in advance if your down payment is under 20% of the property value. Per Diem, otherwise known as daily interest, relates to the amount of money that needs to be paid in advance from the closure day to the end of the month. However, it’s worth noting that the first payment isn’t due until the following month. For example, if you closed June 15th, you would pay daily interest through the end of June and your first payment would be due August 1st. The August payment will be the money that is due for the month of July. Why It’s Important To Work With An Experienced Mortgage Professional? There are many different ways to handle your property purchase and loan agreement. Given the importance of purchasing a house and the amount of money involved in relation to prepaid items, it’s important that you take the right pathway. With so many documents and prepaid costs to consider, it’s very easy to get swallowed up by the sheer volume of information. This can lead to overlooking important factors such as changes to interest rates or other costs. If you fail to recognize the full picture, the chances of taking on an agreement that isn’t right for you are greatly increased. Meanwhile, it’s almost impossible to weigh up different loan offers when you don’t understand the finer details of the Loan Estimate. Using a knowledgeable mortgage banker or broker allows you to bypass those problems to receive clear and transparent information and advice. This can save you time and money in addition to gaining the best outcome. If nothing else, taking this approach will provide peace of mind as you will avoid any potential setbacks and problems. If you want to work with an experienced and trusted mortgage banker, then consider A and N Mortgage. With A & N, you are guaranteed a level of service that is guaranteed to help you find the best mortgage offers, understand the full terms of the loan estimate, and secure a fast and transparent process so that you can get into your brand new home ASAP. At A & N our leadership has been recognized nationally with our EVP Kiki Calumet being named as a market leader by Forbes magazine. After reading this article you should be able to understand the basics of pre-paid items on your loan estimate. If you need more help understanding these items, contact one of our mortgage professionals today. A and N Mortgage Services Inc, a mortgage banker in Chicago, IL provides you with high-quality home loan programs, including FHA home loans, tailored to fit your unique situation with some of the most competitive rates in the nation. Whether you are a first-time homebuyer, relocating to a new job, or buying an investment property, our expert team will help you use your new mortgage as a smart financial tool.